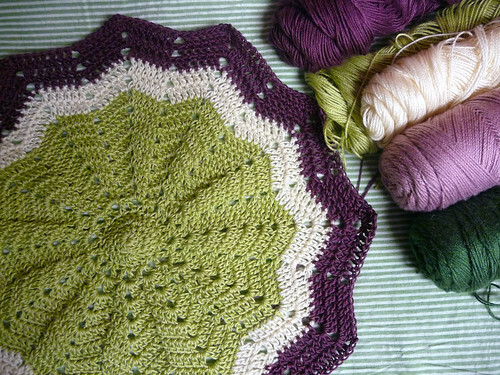 I started another ripple blanket this week in the midst of my crazy-deadline crochet designing. It really is so nice to have something mindless to work on, because crocheting helps me think. Part of me wants to vary the stripe width more on this one. And part of me wants to be lazy and not do that. We’ll see which part wins in the end! I am loving your ripple. It is gorgeous! Thanks so much for sharing. Love the colors! I've been seeing these a lot lately, and I want to make one now! ohhhh I love this rounded version...gorgeous.